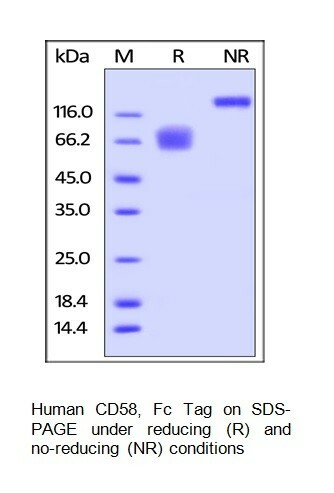 Human CellExp™ CD58 / LFA-3, Fc Tag, human recombinant | P1150 | BioVision, Inc.
CD antigen CD58 is also known as Lymphocyte function-associated antigen 3 (LFA-3). CD58 is a cell adhesion molecule expressed on Antigen Presenting Cells (APC), particularly macrophages. CD58 /LFA3 is ligand of the T-lymphocyte CD2 glycoprotein, which binds to CD2 (LFA-2)  on T cells and is important in strengthening the adhesion between the T cells and Professional Antigen Presenting Cells. 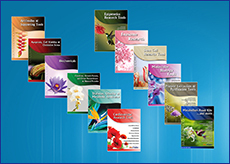 In addition, the LFA-3/CD2 interaction may prime response by both the CD2+ and LFA-3+ cells. Polymorphisms in the CD58 gene are associated with increased risk for multiple sclerosis.